It's the ultimate compliment when friends ask me to document their families for them. I know how precious and fleeting these days are, and to be the one chosen to capture these moments is such an honor! 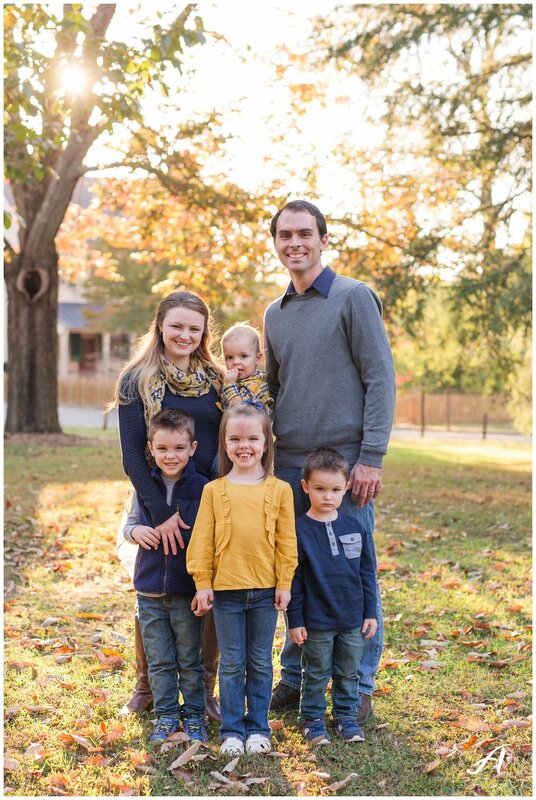 I was so excited to capture the Klinger family's portraits this year! Rachel was on my hall my freshman year in college, so to have them back in Lynchburg and see our kids playing together is so surreal! 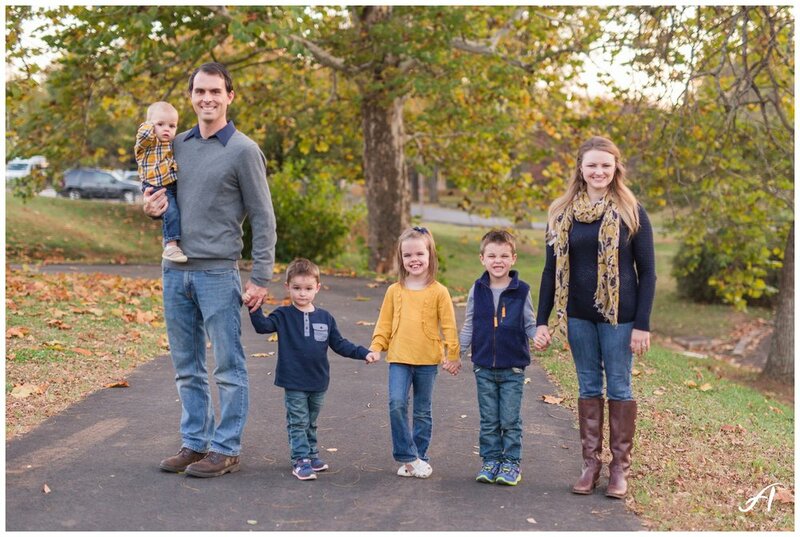 For their family photos, we headed out to Riverside Park in Lynchburg, Virginia. I love this park year round, but during the fall, the colors are just so amazing! There are spots to do photos around every corner! Ashley Eiban is a wedding and portrait photographerbased in Central Virginia. Serving Lynchburg, Charlottesville, Farmville, Richmond, Roanoke, and surrounding areas. Currently booking a limited number of weddings and portrait sessions for 2017. Available for travel world-wide. Ashley is passionate about capturing moments as they authentically happen to ensure a successful session that gives you time to enjoy each other and savor the wedding day moments. Contact me today for additional information! Hi! I’m Ashley & I am so glad you found me! I have been serving couples for over five years and can’t imagine spending my days doing anything else. I am incredibly thankful for each and every one of my clients and I truly consider it a privilege to create memories you will cherish forever. I love cultivating genuine relationships built on mutual understanding, trust and lasting friendship!